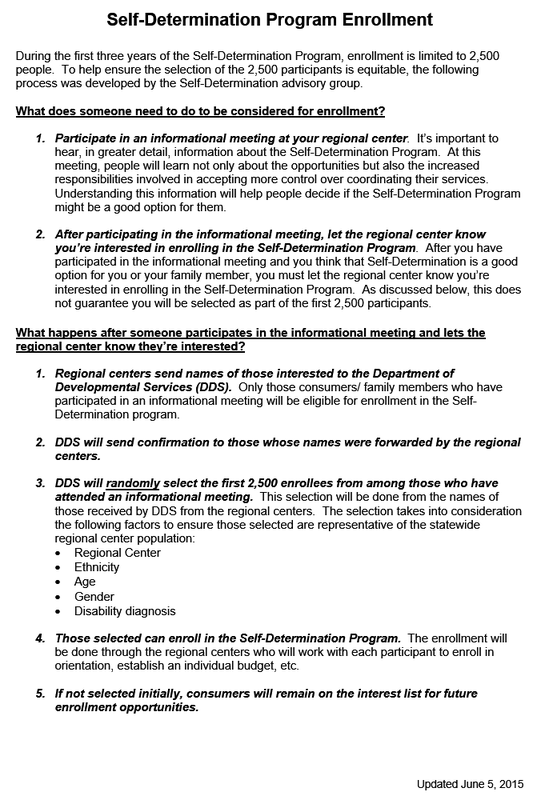 The self-determination program has not started yet because the federal home and community based services waiver application is still being processed. It will likely be at least several months before the application is approved, which allows the self-determination program to begin. However, the Department of Developmental Services has released some updated information on enrollment in the program once it does begin.